This past weekend, I decided to work with some of the molds that I received from WholePort. 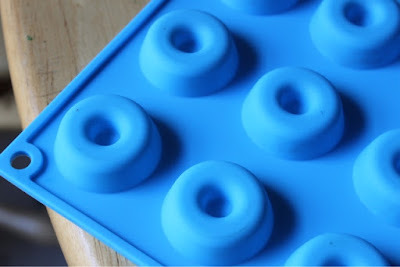 While I have a mini donut pan, I used this mini-mini donut mold to make these tiny donuts. They were the perfect size for a one-bite, pop-in-your-mouth donut. 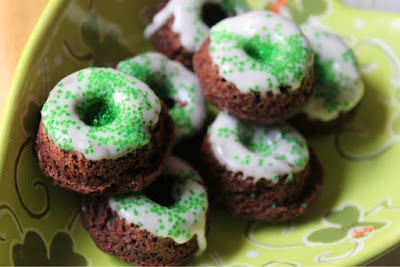 My son loved these tiny donuts. The mold would be perfect for candy-making, flavored ice molds, or gelatin rings. The mold allows for easy removal and easy cleaning. Thanks to WholePort for providing me with these molds. Cookbook Review: "Slow Cooker Desserts"
Cookbook Review: "D'Lish Deviled Eggs"